Updated infection surveillance definitions for long term care facilities (LTCFs) was released last fall. In a Society for Healthcare Epidemiology of American (SHAE)/Centers for Disease Control and Prevention (CDC) position paper, issues with LTCF surveillance and definitions were discussed. The definition update was completed by an expert consensus panel and were based on review of the literature. The definitions reported to have had the most significant changes included urinary tract and respiratory tract infections. Definitions that were added included Clostridum difficile and norovirus gastroenteritis. How providers handle care transitions in under the microscope. A person will experience care from different settings and from different professionals; all operating independently and focused on a different aspect of care. As a result and according to experts, the care emphasis needs to be placed on the older person and his/her family since they remain the constant through-out the entire health episode. In a recent American Society on Aging (AGS) article, the need for person and family-centered transition care is discussed. The article identifies and offers highlights on the different transitional care models currently in use like Project BOOST (Better Outcomes for Older Adults) and Project RED (Re-Engineered Discharge). This week, AHCA participated in a hearing before the House Committee in Education and the Workforce Subcommittee on Workforce Protections. The hearing, entitled “Lower-skilled Guestworker Programs in Today’s Economy,” featured testimony from Fred Benjamin, Chairman of the Kansas Health Care Association and COO Of Medicalodges, Inc. in Kansas. Others testifying included immigration specialists and attorneys, as well as representatives of the hotel industry. Mr. Benjamin spoke about the challenges of providing high quality care in the face of chronic, mid-level skilled nursing shortages and the importance of addressing workforce shortages through reforming Medicaid and Medicare and comprehensive immigration reform. Read a full version of Mr. Benajmin’s testimony here. In advance of the hearing AHCA hosted a media teleconference to announce its 3 principles for immigration reform, which include (1) Let business and industry play a leading role, (2) Create a viable guest worker program that would accommodate the needs of U.S. healthcare providers, and (3) Waive the cap on employment-based visas for nurses and physical therapists, speech therapists and those providing other therapies. CMS is requesting comment on the collection of information related to Paid Feeding Assistants in Long-Term Care Facilities. Long-term care facilities are permitted to use paid feeding assistants and must ensure that they are trained. Nursing facilities also must maintain a record of all individuals used by the facility as feeding assistants. CMS is requesting comments related to the necessity and burden of information collection, way to enhance the quality and clarity of information collected, and the use of automated collection techniques. Comments are requested on or before May 7, 2013. Click here for more information and to view the Federal Register. For more information please contact Sandra Fitzler. The roots of National Nursing Home Week (NNHW) grew in an age with a singular focus to honor the seniors and other residents served by the long term and post-acute care community. For 2013, AHCA continues this tradition and overarches it with an inclusive message that residents and families can play a vital role in care planning and its daily implementation. Team Care itself is meant to personify the many professionals and caregivers whose dedication and work ethic contributes to achieving care excellence and high levels of satisfaction. Families and the public may not realize the breadth of expertise Team Care brings to the bedside and throughout a resident’s day. Our “customers” may also not realize that they too can be active members of Team Care; to fully initialize a person-centered protocol their input is important. Team Care should be on display at your facility by using special themed products that are available from the AHCA Bookstore. Order soon as quantities are limited. More information is available at the dedicated web site www.nnhw.org and on Facebook. Let’s show the world class spirit of care communities across the nation this NNHW by reaching out to all friends of quality health care. We are all more effective with Team Care spirit humming along at full throttle as Everyone Pitches In! Orders can be placed on the AHCA Publications Store website or by phone at 800-321-0343. The George Washington University is pleased to announce the 2013 National Emerging Leadership Summit (NELS) for Healthcare Administrators in Aging be held in Washington, D.C., June 25-27, 2013. The summit is targeted toward LTC administrators who have typically been in the field for less than ten years and/or are under forty years of age. These Generation X & Y leaders hold positions in skilled nursing facilities, assisted living facilities, continuing care retirement communities, and rehabilitation hospitals. The Summit is an educational venue combining the elements of the experience, current best thinking, and a facilitated dialogue to provide and hear a new perspective for both the participating individual and the broader field. Please visit the NELS website for additional information including program agenda, application process, and CEU opportunities. For more information, contact Peggy Connorton. Tracking departments staff vacancy and retention levels is a vital quality improvement tool for assisted living communities. Now assisted living communities can help the profession by contributing to the development of a similar tool on a national level. NCAL is asking assisted living providers to take a few moments to complete the 2012 Assisted Living Staff Vacancy, Retention, and Turnover Survey (VRT). It is available online or download the form here. NCAL is seeking community staffing data in order to build a nationally representative database. From this database, NCAL will analyze the information to determine national rates on vacancy, retention, and turnover for a report that can demonstrate to policymakers and consumers the profession’s commitment to quality. Community data is kept confidential. If you prefer to hand write the survey responses, download a blank copy of the survey. Then fax the completed form to: 202-842-3860 or send by mail to: 2012 Assisted Living Staff Survey, Attn: Lindsay Schwartz, NCAL, 1201 L Street, NW, Washington, DC 20005. Centers for Medicare & Medicaid Services (CMS) has contracted with RTI International to develop antipsychotic medication use quality measures (AP QMs) in nursing homes. The purpose of the project is to develop quality measures that can be used to provide quality care to Medicare beneficiaries. The public comment period provides an opportunity for the widest array of interested parties to provide input on the measures under development and can provide critical suggestions not previously considered by the measure contractor or its technical expert panel (TEP). Specific project objectives: The goal of this task is to develop nursing home quality measures for antipsychotic medication use with the following parameters: 1) The quality measures are MDS 3.0 based; 2) The quality measures focus on both long-stay and short-stay residents (i.e., one for long-stay and one for short-stay); 3) The quality measures take into account that antipsychotic medication use may be appropriate under certain conditions; and 4) measures should be submitted for NQF endorsement with as few exclusions at possible. The developed AP QMs should be appropriate for public reporting. To achieve these objectives, RTI solicits public comments on two AP QMs: Percent of Long-Stay Residents Who Receive an Antipsychotic Medication and Percent of Short-Stay Residents Who Newly Received an Antipsychotic Medication. If you are providing comments on behalf of an organization, include the organization’s name and your contact information. If you are commenting as an individual, submit identifying or contact information. Please indicate which measures you are providing comments on. You may submit general comments on the entire set of measures or you may provide comments specific to individual measures. Email your comments to: APQMPublicComments@cms.hhs.gov. Comments are due by close of business March 15, 2013. NCAL’s 2013 Awards Program is accepting nominations through May 17. If your community has an outstanding assisted living nurse, administrator, or a member of your dietary, housekeeping or maintenance department who always goes above and beyond, consider submitting a nomination on their behalf. NCAL’s Awards Program gives awards in four categories, including best National Assisted Living Week programing. Winners are recognized during NCAL Day at AHCA/NCAL’s 64th Annual Convention & Expo in Phoenix, Ariz. in October. Individual members may submit nominations directly to NCAL, however it is recommended that members check with their state affiliate prior to preparing an application. To submit an application, download the awards packet. The packet includes information on qualifications for nominees, application forms, and instructions on how to apply. Completed nominations must be submitted no later than Friday, May 17, 2013. For more information, contact NCAL's Martece Yates. AHCA/NCAL has partnered with The Advisory Board Company to provide members with two new webinars focused on Accountable Care Organizations (ACOs). The Advisory Board is an industry leader in health care best practice research and consulting, and is one of the leading authorities on payment reform and the accountable care movement. These webinars will provide members with information on national ACO market trends, as well as tools and tactics for members to use to develop their own accountable care strategy. These are open to any and all interested AHCA/NCAL members. The first webinar, titled “Preparing Post-Acute Providers for Accountable Payment,” will take place on Wednesday, March 20th, at 1pm ET. Members can register for that webinar by clicking here. The second webinar will take place on Wednesday, May 8th, at 1pm ET; more information will follow at a later date. For any questions, please contact James Michel at jmichel@ahca.org or 202-898-2809. Celebrate Long Term Care Administrators Week! It's that time of the year to celebrate our Administrators! March 10-16 marks National Long Term Care Administrator's Week. The week is sponsored annually by the American College of Health Care Administrators (ACHCA), whose mission focuses on advancing leadership excellence in long term care through the provision of leadership education, promotion of professional advancement programs such as Fellowship and Professional Certification, and facilitation of leadership development. For individual recognition – flowers, candy or some other treat; lunch or dinner out; gift certificates such as to a spa so that they can be on the receiving end of care giving; tickets to area events. For center recognition – a special meal, social or theme day at the center hosted by someone other than your administrator; celebrate with special activities that include residents, family, volunteers and staff. ACHCA commends, salutes and thanks those Administrators in nursing homes and assisted living centers who are committed to providing excellent quality of care and quality of life for the elderly. Congratulations on a job very well done! Have ideas for LTCA Week 2013? Share them on the ACHCA Facebook Page. Please contact achcamarketing@achca.org for more information. Checklists to prevent central line-associated bloodstream infections. Interventions to reduce urinary catheter use, including catheter reminders, stop orders, or nurse-initiated removal protocols. Head-of-bed elevation, sedation vacations, oral care with chlorhexidine, and subglottic-suctioning endotracheal tubes to prevent ventilator-associated pneumonia. Multicomponent interventions to reduce pressure ulcers. Barrier precautions to prevent healthcare-associated infections. Multicomponent interventions to reduce falls. Use of clinical pharmacists to reduce adverse drug events. Documentation of patient preferences for life-sustaining treatment. Medication reconciliation - Medications at Transitions and Clinical Handoffs. The patient safety strategies and tool/resource links can be found on the AHRQ website. Download the report here. For more information, please contact Sandy Fitzler. The CDC continues to spread word regarding a 'nightmare bacteria' that is spreading in hospitals and other care facilities throughout the nation. The bacteria (Carbapanem-Resistant Enterobacteriaceae - CRE) kill up to half of patients who get bloodstream infections from them, according to the press release. During the first half of 2012, about 18 percent of LTC facilities treated a patient with a CRE infection during that time. The bacteria are noted to be increasingly resistant to antibiotics and can be spread easily, including from the hands of health care personnel. AHCA has updated its Clinical Practices website with specific health alerts regarding the CRE bacteria. Facilities should take extra precaution when caring for a resident or patient who has come into contact with the bacteria. CNN has also reported on the spread of the bacteria. The Texas Health Care Association (THCA) is pushing a strong message: Put your money where your mouth is. A recent statewide poll found strong, across-the-board support among all voters to "fully fund Medicaid for low income seniors in nursing homes at the levels the state itself says is needed to meet the cost of providing this care." With these findings, THCA launched a new statewide radio campaign urging the Texas Legislature to address the financial budget allotted to the state's seniors. In a press statement released on Wednesday, Tim Graves, president of THCA, pointed out "the Health and Human Services Commission (HHSC) estimates Medicaid spending in the 2014-2015 Biennium will require an additional $925 million just to meet today's cost of caring for the nearly 60,000 Medicaid-dependent elderly and disabled Texans living in nursing homes." This is a special alert from Austin about severe Medicaid and Medicare cuts jeopardizing Texas seniors’ nursing home care. State health officials estimate nearly a billion dollars is needed over the next two years to protect the quality nursing home care our oldest, neediest seniors rely on. But so far, the Texas Legislature’s proposed budget doesn’t come close. That means facilities – already hit by deep Medicaid and Medicare cuts -- are forced to shoulder a billion dollar burden — threatening quality, jobs, even closures. That’s an additional billion state health officials say Texas should pay to ensure our parents and grandparents maintain the quality of life they’ve earned. It’s just common sense and the right thing to do: seniors’ nursing home care should be funded at the level state officials say is needed. To learn more about this key seniors’ issue, and to take action, please visit www.txhca.org. For more news on funding and budget cuts, visit CareNotCuts.org. This week, developmental and intellectual disabilities care providers will gather in Washington, D.C. at the annual DD Fly In. The Fly In is a chance for providers to get together, receive Capitol Hill training, and talk one-on-one with Members of Congress. For the past 3 years that I’ve attended the Fly In, I’ve always walked away with something new. Last year, I had the opportunity to visit with Members of Congress, such as Mike Simpson, from Idaho. During my visit, Representative Simpson and I were able to talk in depth about the Medicaid crisis our nation is facing, and the impact it could have on one of the most vulnerable populations who rely heavily upon Medicaid for necessary service and supports - those individuals with intellectual and developmental disabilities. Each year, AHCA’s annual DD Fly In gives me the opportunity to share my professional and personal experience with those who represent us in Congress, one-on-one. These visits are vital to keep our legislators knowledgeable of the real life impact their decisions have. As service providers and family members, we must advocate on behalf of those individuals we serve. This fly-in gives us the opportunity to do just that. This year promises to be another full day for care providers. The program will kick off with a special presentation by former Congressman Earl Pomeroy, who will speak on effective lobbying for DD services providers, followed by a panel discussion from Congressional staffers. We’ll then get a refresher on the latest issues facing DD Services providers and wrap up the morning with a Capitol Hill Update. Then it’s off to the Hill, with visits extending into the afternoon. If you’re attending the DD Fly In, let us know in the comments section and tweet using the DD Fly In hashtag, #MedicaidDD. At the AHCA/NCAL Quality Symposium, it was announced that LTC Trend Tracker now has the MDS 3.0 rehospitalization measure - OnPoint-30® - available for skilled nursing facilities. Provided by PointRight, this new report allows you to benchmark your hospital readmission rates against your peers (from your zip code to the national level). In addition, OnPoint-30 provides you with actual, expected and risk-adjusted rates, allowing you to furnish hospitals with information that may impact your referral patterns. Get tracking today at www.ltctrendtracker.com! 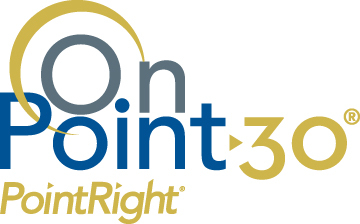 OnPoint-30 will be a critical resource as AHCA members continue to strive to meet our Quality Initiative goal to reduce hospital readmissions within 30 days of SNF stay by 15% before March 2015. Learn more about what you can do to reduce your rehospitalization rates. Please note that OnPoint-30 is only available on the report builder (AHCA Outcomes Report). AHCA is currently working on a dashboard widget for this report. To learn more about OnPoint-30, please download our help document. If you have any questions in regards to OnPoint-30 or need your username, please contact customer.service@ltctrendtracker.com. AHCA/NCAL is teaming up with skilled nursing facilities across the country to test the effectiveness of two influenza vaccines - and your help is needed! In exchange for a facility's participation in the study, residents will receive free flu vaccines for the 2013-2014 influenza season. Brought to you by a team of nationally recognized long term care researchers from Brown University, this study is evaluating the effectiveness of the annual influenza vaccine choice on LTC residents' hospitalization risks for the upcoming influenza season. Nursing facilities who participate will be allocated to receive either the standard dose annual trivalent influenza vaccine or the high dose trivalent influenza vaccine for free. Both vaccines are recommended by the CDC for annual protection against influenza infection in adults. Participating facilities will receive a free supply of vaccine for all their residents for this year's flu season, as well as financial compensation for data entry. If you are interested in participating or want more information, please notify us as soon as possible by calling our study coordinating center, Insight Therapeutics, LLC, at 757-625-6040, or via email to H. Edward Davidson, PharmD, MPH, at edavidson@inther.com.